During World War Two, Nathan and his family are sent to Heart Mountain, an internment camp in Wyoming for Japanese-Americans. Nathan’s one desire is to protect the family’s gold pocket watch, a family heirloom brought over from Japan. He fails; the watch is stolen. Struggling to make sense of his life in a bleak camp as the only responsible man of the household, Nathan discovers truths about his family, God, and the girl he loves. Wondrous and warm coming of age story set during an America out of control. Told in a style reminiscent of A Tree Grows in Brooklyn, Wisler’s latest novel is ultimately about trust, betrayal, and forgiveness. Teenaged Nathan Mori is the one the family counts on after the American-Japanese family is uprooted from their comfortable life in San Jose, California. Papa is removed to another refugee camp, Mama dies after giving birth, Aunt Kozuko does the best she can, younger brother Tom struggles with the after-effects of polio, and older brother Ken works out his frustration and anger through fights and girls and taboo camp items. With few other household goods to their name besides an heirloom Nathan is charged to protect, its loss forces Nathan to face his failure, to look at how prejudicial people of European descent have become and to recognize the loss of innocence. What was the purpose of the internment camps, ultimately? To protect people of Japanese descent, or to keep potential US enemies contained? Once the war is over and the little family returns to San Jose, Nathan asks why weren’t others, like those of fascist Italian descent not subjected to the same treatment? Suspicion changes people’s nature, but Nathan must still be responsible for his family. With the help of the neighborhood church and a lot of faith, some truths learned, and an example of forgiveness, the Mori family battles its way back to dignity and self-sufficiency. I was especially interested in this book because I had visited the Heart Mountain site when only a small simple monument had been erected. It gave me chills to be there; the only other place I feel such a displacement is at Little Bighorn. Told in first person from Nathan’s viewpoint, readers grow up along with him, face his fear, confusion, resentment, and resilience; and come to grips with his belief in himself and his heritage along the journey to adulthood, love, and forgiveness. Those who enjoy recent American history and stories of multi-generational family heritage and strength will enjoy this story. Alice J. Wisler was born and raised in Japan as a missionary kid. She is the author of Getting Out of Bed in the Morning, and five novels. Rain Song and How Sweet It Is were Christy finalists. Ever since the cancer death of her four-year-old son Daniel in 1997, she has found solace in writing from heartache and teaches Writing the Heartache workshops across the country. She lives in Durham, NC with her husband and children where they have a wood carving business, Carved By Heart. Visit her website at http://www.alicewisler.com. "I love Mary's writing style. Characters are well-written and seem so very real to like." Only after Robert Turner hurts a woman does he realize how much of a hold alcohol has on his life. For Robert, a chance meeting with an Alcoholics Anonymous sponsor offers hope. A new devotion to the Lord and a relationship with Belle McBride gives him expectations for a better future. His life appears to be on the right track, until he comes full circle with his past and faces the one mistake that haunts him daily. Can forgiveness-free Robert? Or will heartache drive him to return to the life he once had? Victor Matthews is a down on his luck young man, frustrated with his life and his inability to find gainful employment. Louise Hoskins is a young woman content in her life with her family and friends. Her biggest concern is her upcoming lead part in a play. One rainy night, they meet...and both are forever changed. Neither could foresee that the world as they know it is on the precipice of experiencing the now famous ’37 Flood, and that daily life is about to be transformed into a bone chilling waterlogged state of affairs. But as that harrowing experience fades and their lives return to normal, the two young lovers embark on an unforgettable courtship - that is, until a terrible argument and a tragic misunderstanding tear them apart. How will they survive the separation? And why does one special song have the power to instantly transport the sweethearts back into the realm of cherished memories? Set against the turmoil of the Great Depression and the CCC, hard luck Vic Matthews meets the girl of his dreams...only she's holding a secret that blows everything sky high. If it's not the weird weather and flood of the century interfering...it's major miscommunication and self-sacrifice for the family that keeps these lovers apart. But it's a sweet reunion that actually leads to more family revelation and more surprises. Second chances and a lot of love make this intriguing and touching family story of a contemporary grandma's reminiscing over her past life and love after a move come to life. The author's recreation and fictionalization of her parent's drama brings reality to the story almost like an autobiography. For those who love Americana, Vic and Louise's choices, opportunities, hardships and triumphs set in Louisville, will be a delight. Well documented historically with unforgettable characters and dialog true to the era. Filled with food, movies, and music of the period. I have to knock off some points due to some need for editing, but otherwise, I recommend the book to those who enjoy reading about this period in history...along with some adventure and romance. 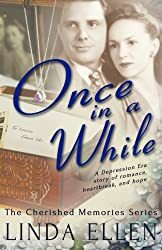 Linda Ellen is an historical romance writer who's making her debut with Depression Era romance, rich with history, love, heartache, and real life. 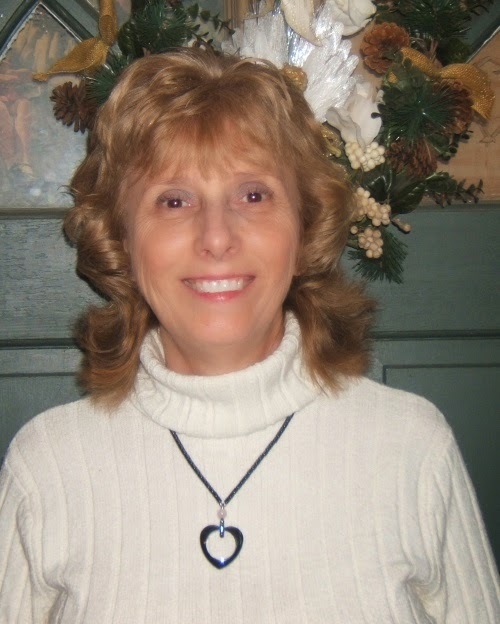 Linda was born and raised in Louisville, Kentucky, where she resides with her husband and youngest son. 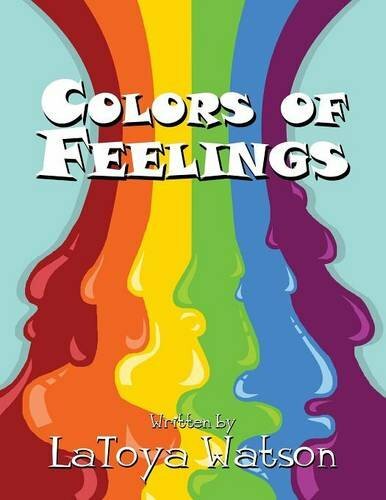 Colors of Feelings is a great book about children who experience different feelings for each color of the rainbow. Darling large format picture book with a four-stanza poem on the first pages and a longer one at the end. Features red (the color of my heart), orange, yellow (the golden sun), green, blue, pink, the color of a plum tree. Word choices are above most young readers, however the colors and simple illustrations format will draw your infant or toddler’s eyes and delight them; the rhythmic words create a pleasant sound, and the shortness will allow most readers to get through the story with a squirmy kid. "I read the missive in a single sitting--was charmed and entranced, enthralled and captured by the poignant and evocative insights--- it's a burnished gold of a book---a real beauty---tragedy and hope, in an honest and raw way, jostling wisely and judiciously in your vulnerable soul--take heart---your well told and painful journey will bring healing and restore life to many---thanks for the sacrament and chalice of eternity so generously shared." Dana Goodman, author and counselor, Dana Goodman, lives in Kamloops British Columbia. She wrote In the Cleft: Joy Comes in the Mourning as a tribute to her son after he died of an aggressive brain tumor called Glioblastoma Multiforme. His unquenchable faith gave her the courage to visit grief layers and find healing and life after unbearable heartache. Dana's greatest joy in life is Jesus Christ, even on the topsy-turvy days when he is hidden. She loves simple things like hot coffee, deep talks with girlfriends, journaling and having wonderful adventures with her family. Enter below to enter a $50 Amazon gift card, sponsored by author Dana Goodman! a Rafflecopter giveaway This book blast is hosted by Crossreads. We would like to send out a special THANK YOU to all of the CrossReads book blast bloggers! My dear writing friend Elaine Marie Cooper, whom I've also been blessed to spend face-to-face time with shares from her latest book. It's a family story, a family history of a sort, a saga like no other, one that no one hopes to encounter. Read Bethany's Calendar and find peace, hope, and love. In January of 2002, Elaine’s world flipped upside down. What started out as a beautiful New Year for the mom of three, turned into a living nightmare when her 23-year-old daughter, Bethany was diagnosed with a terminal brain tumor. In the months to come, Elaine not only used her nurse’s training, she learned to recognize the hand of God on her daughter’s life. 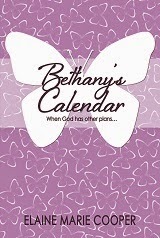 Bethany’s Calendar tells the story of Elaine and Bethany’s journey and the many ways God helped their family to survive. It is a story of fear and faith, commitment and compassion, told with gut-wrenching honesty while sharing unwavering faith in God. This was a deeply personal project for you and the family. What did you learn about yourself in the process? I learned that it was OK to be transparent, as long as I didn’t hurt others in the process. Some of the things I shared in Bethany’s Calendar I had not shared in public before. It made me feel so vulnerable. Yet if I was not open and honest or if I glossed over the hard parts, I knew I would be doing a disservice to my readers. Others in similar circumstances could only be ministered to if I was honest about my struggles and pain. What do you want readers to know after putting down your book? That God is REAL and our very Source of comfort if we will lean on Him and HIS strength. What tips do you have for others who’d like to write a memoir? Always make yourself out to be the bad guy. I know that sounds funny but a memoir should not be an attempt to get back at others who don’t measure up. It should be a revelation of your own thoughts, feelings and responses to the stuff life throws at you. What did you learn? How could you do it better? What did God teach you during those difficult times? Writing a memoir is a truly unique experience that I only recommend if you feel you MUST write it. There should be a reason to reveal. Otherwise, some stories should just stay hidden in your heart or shared with a friend. Our lives should not be Reality TV. is a personal memoir of her daughter who died of a brain tumor and how the Lord was their strength during the darkest journey of their lives. Poignant reflection and brave advice for the grieving. From the author’s introduction of her family heartbreak, through the honest and vulnerable challenges of home and social life through this difficult time, to the joy of remembering, Bethany’s Calendar will touch every reader. The one thing Elaine Cooper was certain she never do after she realized a dream of writing fiction based on family history was the write about the death of her daughter to cancer. It took a decade before Cooper heeded the gentle nudges and was able to put the story into perspective and make it more than a reflection, but also a guide to help others who are in grief. It is a story not just for a family suffering through trauma, but everyone who intersects with them. Advice on how to approach, when, or even whether, people who are in treatment, in pain, or caring for loved ones in pain, is offered with each of the 35 short chapters, as well as in an ending segment, Things We Learned. The Coopers rejoiced when their daughter Bethany, a valedictorian and caring, resourceful young woman, went to college. The first three years were on task, as expected. The fourth was a strange struggle for her, as well as inexplicable changes in her personality. An attempt at independent living and work across country failed, as did a dream job at home. Drugs were ruled out, as was a psychotic break. Physical tests done after a bizarre episode at home which resulted in a police pick-up and subsequent several-day stay in a hospital psychiatric unit revealed the devastating news that Bethany had cancer in her brain. While the author’s training as a nurse helped her understand the physical issues involved with treatment, and that there would be no recovery, the emotional distress for the family and friends is never something anyone can prepare for. This is a book for anyone to read, whether caregiver, friend, or family of someone going through a loss, or if you’ve had or are facing loss, you will find some comfort and great advice. 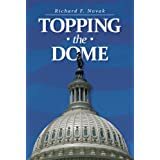 Book review: Topping the Dome by RIchard Novak Great Read! 2013 will be the 150th anniversary of topping the Capitol Dome in Washington with the sculpture of Freedom by Thomas Crawford. A picture of the Capitol Dome is second only to the Flag as America's most iconic image and can be seen daily as a segue into news from Washington. This is the tragic story of the creator and creation of the sculpture Freedom. In 1835, Thomas Crawford leaves America to study sculpture in Rome under the world's premier sculptor. His career takes him back and forth between the ancient Capitol of Rome and the new Capitol of America, Washington, D.C. Art and politics collide as his patrons in America struggle to have his work accepted by a Congress bitterly divided over the issue of slavery. Crawford would eventually create more sculpture for the Capitol than any other sculptor. With the country at war, Abraham Lincoln refuses to halt the construction of the Capitol, and Crawford's greatest work, the statue of Freedom, is placed on the Capitol Dome in the midst of the Civil War, December 2, 1863. In this true story, three other men, Charles Sumner, a staunch abolitionist, Senator, and ideologue, Clark Mills, a self-taught sculptor and opportunist, and the supervisor of construction of the Capitol, Captain Montgomery C. Meigs, an autocratic achiever, play major roles in this confrontation between art and politics and the success of Thomas Crawford. Their careers, in their own way, mirror Crawford's during this tumultuous period leading up to the Civil War. Creative non-fiction is always tricky, especially when recreating conversation, dialog, and setting. Novak has done a more than credible job of telling the events of crowing America with a dome on the Capitol building. It was a long road of showing American pride in our early national history. From ordering a sculpture, Freedom, to finding the perfect person to create the "crowning achievement" to garnering the funds to cover the cost, readers of American history will find much to appreciate in this detailed and highly documented story. A nearly thirty-year journey, Topping the Dome focuses on the sculptor, Thomas Crawford, and his ally in government, Charles Sumner, and their friendship and efforts to keep the America they loved from crumbling into ruin during the buildup to the Civil War. Novak, a sculptor, history buff, world traveler, and former medical school professor, has put together a fine book. Included are photographs of the people and events, and a truly astonishing bibliography. Parts of original letters back up the narrative. Novak's personal experience as a sculptor adds to the story in a way someone who didn't understand the process could never have achieved. Artists also will find this story of creating a gem of national pride intriguing. About the author: Richard F. Novak, a sculptor for 40 years, has works in both public spaces and private collections. This work is the culmination of two years research. My original intent was to tell the story from the perspective of a sculptor. However, as I moved through the extensive research material available, the era and the fascinating men and women who touched on his life shaped an intriguing story which I felt must be included with Crawford's. Rather than present the story as another encyclopedic description of Crawford's achievements, I decided to bring these amazing characters to life in the genre of an historical novel. The dialogue is, of course, fictional, but the story is based on the actual events as they unfolded from 1835 to 1863. For more see toppingthedome.com. Tragedy strikes the mountain town of Mont Castello, the home of Adriana Montebelli. Orphaned in 1888, Adriana's life is swept along at the whim of forceful men who decide where she will live and who she will marry. Instead of breaking her, their cruel deceptions toughen her resolve to take control. Though she rises to manage the vast Van Buren estate, she wonders if her broken heart will have the strength to love again. 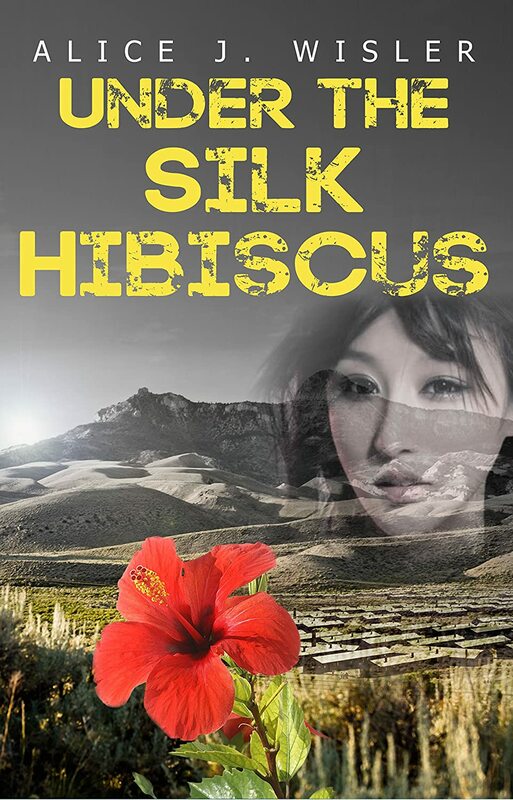 Follow Adriana in this historical novel as she navigates the challenges of woman's suffrage, union violence, and the tragic hardships of love and loss, while struggling to cling to her faith. My heart is still racing! I'll sheepishly admit I didn't read book 1, but I plan on remedying that shortly. This installment does stand alone. Taking us back a hundred years in California, Colwell sets the stage for betrayal, family dysfunction, greed, suffrage, unions, and above all else, second chances and love. And a pesky bear, as the cover alludes. Two orphaned sisters handle their parents' deaths in very different ways. Older sister Adriana, at seven, is a gentle and innocent soul, while little sister Ladonna, is a hellion. Who knows what she would have been like if their parents had lived. In this small traditional village with many Italian descendants, life if hard, and the family who took in the girls end up having to give Ladonna away, while second born son to Adriana's ward harbors life-long hatred on many levels. The story takes the reader along the path of the girl's journey of loss and triumph through their personalities and choices, and the events manipulated by others. Nicely wrapped from the opening through the flashback around Adriana’s life story, to the ending; told from multiple viewpoints, Colwell has devised a well-crafted tale in the vein of Steinbeck and the Grapes of Wrath. 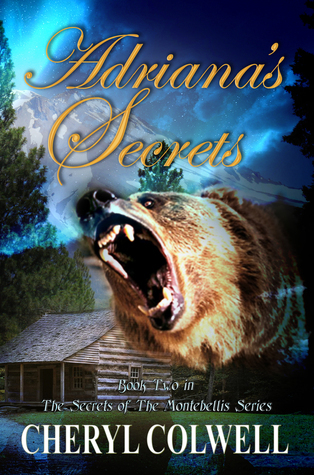 Those who enjoy American history and especially Steinbeck, will enjoy Adriana's Secret. Cheryl Colwell began writing fiction in 2007. True to her tagline, "Stunning Suspense," her characters visit stunning locations while they pursue adventurous quests peppered with mystery, suspense, and romance. 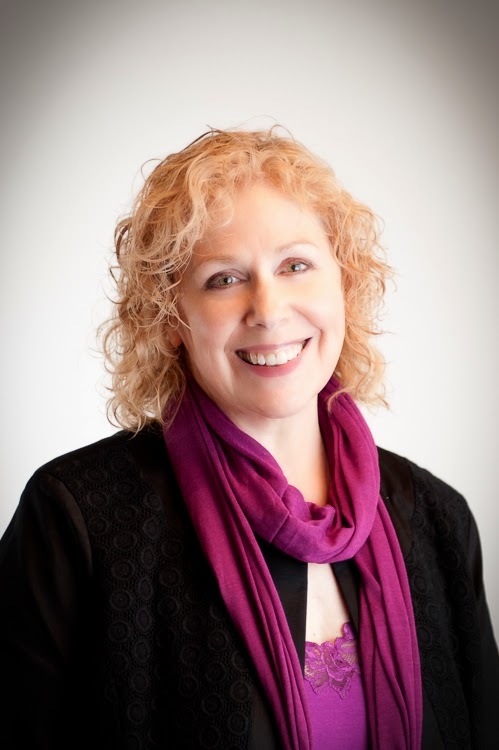 Passionate about all things creative, Cheryl finds inspiration in the countryside of Ashland, Oregon - the perfect venue for her interests in writing, gardening, and art. John, her husband, best friend, and chiropractor, keeps her in shape for gardening and writing long into the night. They are delighted to have four unique and talented children and three grandchildren. A smart and playful English Shepherd makes their empty nest a happy place. Books: Adriana's Secrets, Book Two in The Secrets of the Montebellis Series, published 2014 by Inspired Fiction Books, The Proof, published 2014 by Inspired Fiction Books, The Secrets of the Montebellis, Book One, published 2013 by Inspired Fiction Books. I Believe in Healing by Cecil Murphey, published 2013 by Regal, includes a story she wrote about the healing of a family member. Visit her website. Could it be that what the counselors said about her was true? Was she delusional? Had she imagined everything that had happened thus far–the fire, the rescue, the midnight rendezvous, the terrible hovel, the faces of the children, grim and blue in the bitter cold. All these thoughts raced through her head, causing her to wonder whether everything in her life had been a nightmare, from its beginning to what would soon be its end. Be prepared for Celebration and Despair; Loneliness and Wonder, Villains and Heroes, Palaces and Dungeons, Kings and Queens, Ice Cream and Avalanches, and Much, Much More. But most of all, be prepared for a celebration of Christmas. Told by a grandfather to his grandson and granddaughter, this sweet story of a lonely girl whose only wish could never come true is a lesson in coping with disappointment. When we learn the mystery of faith, we have a Father who never leaves us truly lonely. Josh and Daph bicker as much as any siblings comfortably in front of their grandfather, Jesse, who would like to pass on life lessons to them in a challenging and memorable way. He does this through his stories, this one of Theodora’s Children, is rich with allegory and character. A girl who has everything, Gretchen, wishes for only one thing: a sibling. When she can’t have a brother, she imagines one. 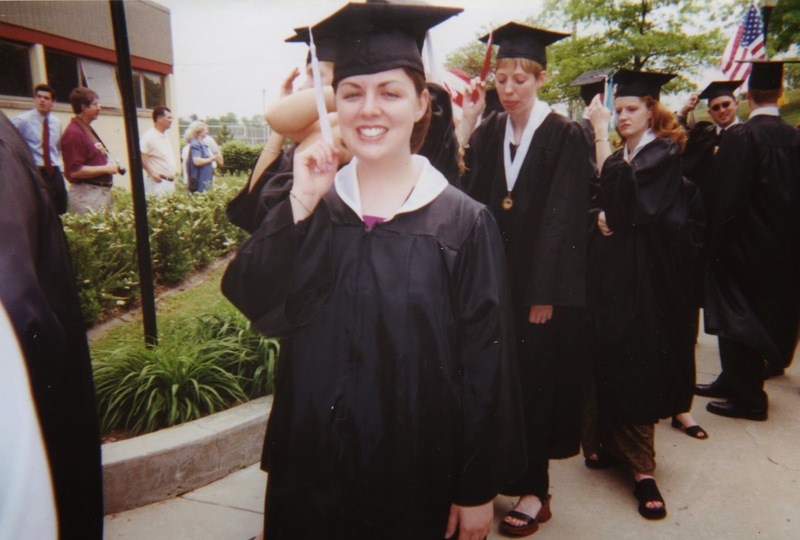 Read on to learn what Gretchen does when life doesn’t go her way. She’s not spoiled or greedy, the grandfather says. Just lonely. I would say that when a child can’t learn to be content, peace is difficult to accept. In the story, Gretchen meets a mysterious girl who tells her about a woman named Theodora who finds lost children, and a Father who loves her more than anything. When the girl disappears, Gretchen risks her safety and the law of her entire realm to find her and learn about her Father. Along the way, Gretchen and her parents learn that poverty comes in many forms. Told from Jesse’s voice to the grandchildren, parents and grandparents will delight in this story which begs for meaningful conversation. 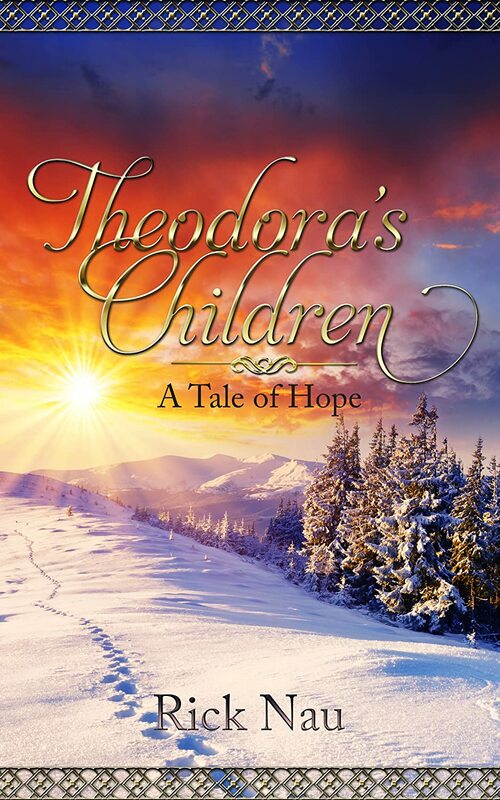 Theodora’s Children is a great read over the Christmas holiday. There is a sense of urgency in the atmosphere as God is transitioning what the world has deemed impossible and unbelievable into the possible and the believable. Don’t be alarmed by the "sudden" moves of God. Pastor Douglass and his family have been positioned for such a move but because of the dense fog of deception that seems to surround them, some in the Douglass family have created their own beliefs, fabricating their own sense of self; negating the truth, God’s truth, even when truth is staring them in the face. They, like many, are living lives devoid of the knowledge of who they really are and robbing themselves and those they love of their true identity and freedom. Deeply embedded lies from enemy have blinded eyes, impaired hearing and hardened hearts and Angels from the army of God have been deployed. The assignment: the execution of God’s divine design. Dreams, supernatural revelation and actual attacks from man's ultimate foe will expose all and confirm God’s plan for Xion, Veronica, Zeborah, Bo and Pastor Douglas. Can they handle the truth and surrender? Will the infrastructure of unbelief crumble? The lives of the Douglass family will never be the same and neither will you, because of THE SHIFT ! 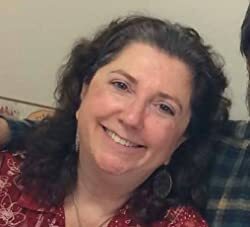 M. Ann Ricks, (Melissa Ann), is a Christian Fiction novelist residing in Bear, Delaware with her excellent husband and two awesome sons. She is a graduate of Rider University and formerly a national accounts insurance executive. Using Jesus Christ as her example, as He shared many parables, she creates stories with fictional characters that contend with real life issues and inserts the Word of God to communicate the genuine and unfailing love of God while making it abundantly clear that Jesus is the ONLY answer. M. Ann is determined to tell the world how wonderfully awesome Jesus Christ is and can be in our lives if we just allow Him to be. She is honored to be used by God to spread His message with the stories she creates with the leading of the Holy Spirit, knowing that He will provide her with stories and the insight that will lift up the name of Jesus as He promised that if He is lifted up, He will draw all men to Him. She is the author Awesome Wonder: The Gift of Remembrance, The Son and THE BLOOD DONE SIGNED MY NAME. What do you love about this book? I love how God shows Himself strong! Because He is more than a conqueror, WE ARE! No Demon in hell can stop our purpose or the prayers of the righteous. I love how God is so loving and so true to His word. I love how we WIN when we truly surrender and simply say YES! Would you please introduce us to your favorite secondary character? There aren’t main characters or even secondary characters in THE SHIFT because each character is considered vitally important to the story. Admittedly, I did have fun with the creation of Mr. Bo Pillar, a man after God’s own heart. What do you hope readers will tell others about the book when they’re done reading it? It’s time for the eyes and hearts of the hurt and confused to be opened so that they can truly experience the freedom and power that being a true and unapologetic follower of Christ affords. The truth is, only GOD can define who we are and only then can we be who God has purposed us to be. God is ABLE to do it all because His blood and sacrifice guarantees it! Greater Than Rubies by Hallee Bridgeman: Antonio Viscolli asked and Robin Bartlett said "yes!" Soon, she will say "I do." Or will Boston's "Royal Wedding" leave someone standing at the altar? Raspberries and Vinegar by Valerie Comer: Josephine Shaw, a feisty environmentalist and local-food advocate, falls for Zachary Nemesek, the junk-food-loving reluctant farmer next door. Awakening by JoAnn Durgin: When Lexa Clarke tumbles from the top beam of a house and straight into the arms of TeamWork Missions Director Sam Lewis, Sam suspects his life will never be the same. Home is Where the Heart Is by Kimberly Rae Jordan: Free spirit Violet Collingsworth never expected to return home to live. But when she goes back to attend her grandmother’s funeral, she meets the sheriff and begins to reconsider. Wildfire Wedding by Lynette Sowell: During the height of Texas wildfire season, Krista and Luke prepare for their wedding while battling past guilt and future fears, when a fire breaks out, threatening the town. Cowboy by Staci Stallings: To all the world, Ashton Raines has it all: fame, money, and the adoration of millions of fans. Then one night he walks away from it all. Can down-on-her-luck waitress, Beth, let God work through her to lead Ashton back to hope and faith? Reunited at Christmas by Debra Ullrick: Shelby Davis thought she’d never again see the ex-fiancé who dumped her. Then Ryker Anderson gets lost in a blizzard, and she’s on the snowmobile search and rescue team. Now what? The Authors of "Love Brings Us Home"
Enter below to enter a $50 Amazon gift card, sponsored by author Sophie Dawson! a Rafflecopter giveaway This book blast is hosted by Crossreads. We would like to send out a special THANK YOU to all of the CrossReads book blast bloggers! genre and content (but that are family-friendly). links to Amazon for easy purchase.